#Microsoft365 – In a previous post I mentioned that I see Microsoft Teams as the Gateway drug to Office 365. I’ve taken quite the ‘360’ on this topic and today I’d like to share with you how and why Microsoft Teams has impressed my socks off. So yes, the Office Ribbon has been with us since the 2007 version of Office. And believe me, this changeover caused chaos in the average office user’s life. We were so used to the File, Edit, View menu. This new GUI is called Fluent User Interface and actually changes based on the content you’re working with. It might have been 10 years, but I still spend way too much time looking for the buttons I use most. 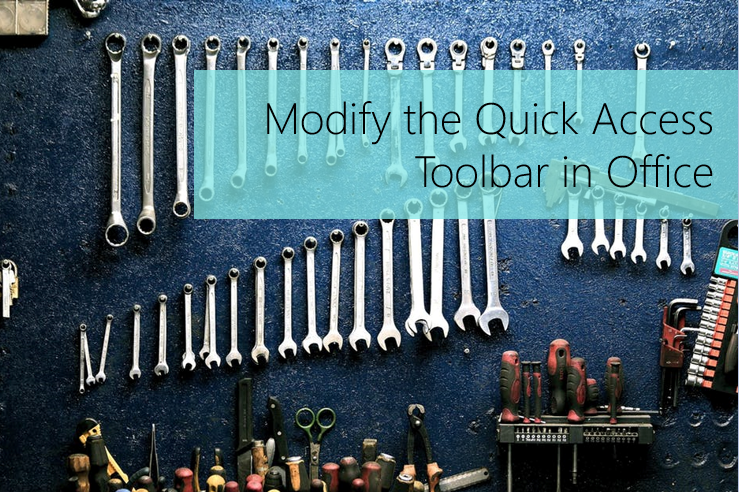 In this post I’ll show you how to add items to your Quick Access Toolbar.